Sony Warning: Don't Turn On Your (Fat) PS3 If You Have Error 8001050F! 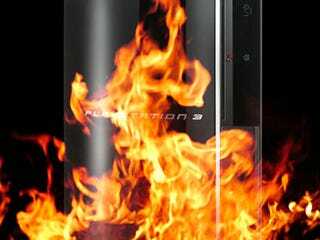 • The date of the PS3 system may be re-set to Jan 1, 2000. • When the user tries to sign in to the PlayStation Network, the following message appears on the screen; "An error has occurred. You have been signed out of PlayStation Network (8001050F)". • When the user tries to launch a game, the following error message appears on the screen and the trophy data may disappear; "Failed to install trophies. Please exit your game." • When the user tries to set the time and date of the system via the Internet, the following message appears on the screen; "The current date and time could not be obtained. (8001050F)"
• Users are not able to play back certain rental video downloaded from the PlayStation Store before the expiration date. Update: According to some readers, Netflix doesn't work either. Update 2: Some readers report everything is back to normal.